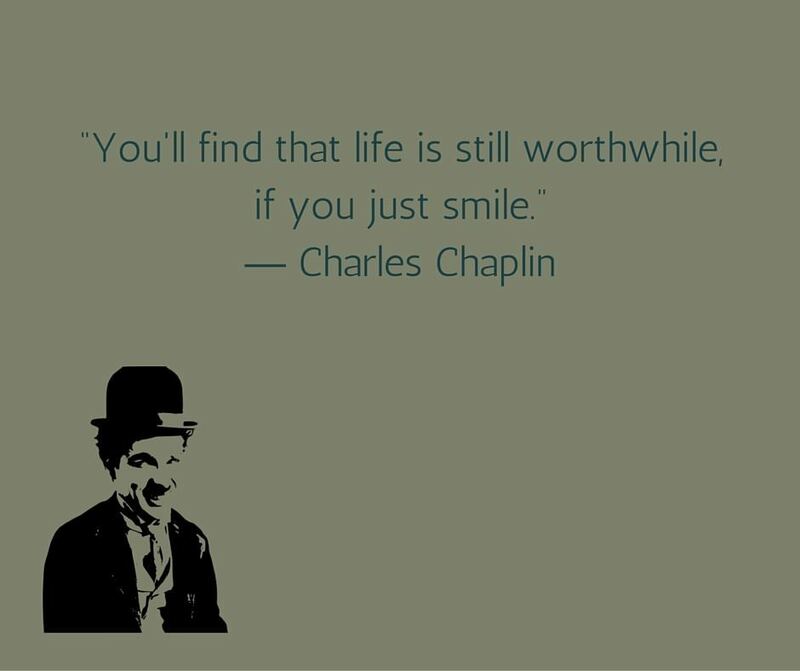 Charles Chaplin was a true pioneer of motion pictures. 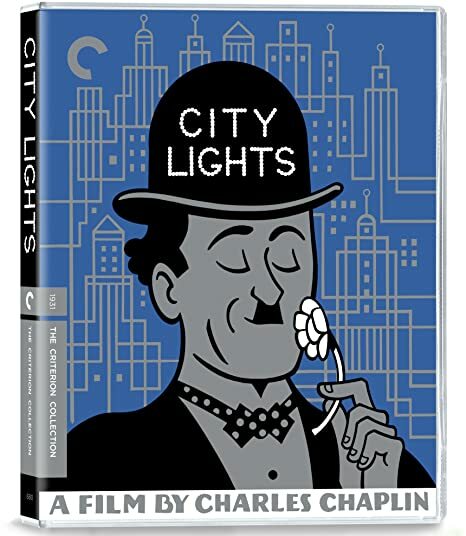 Many of his films, like the classics “The Kid”, “The Gold Rush”, “Modern times”, “City Lights” or “The Great Dictator”, helped him write his own page in the book of the most unforgettable movies ever. Although he rose to fame during the silent era of cinema, he was anything but silent when it came to his views on life. 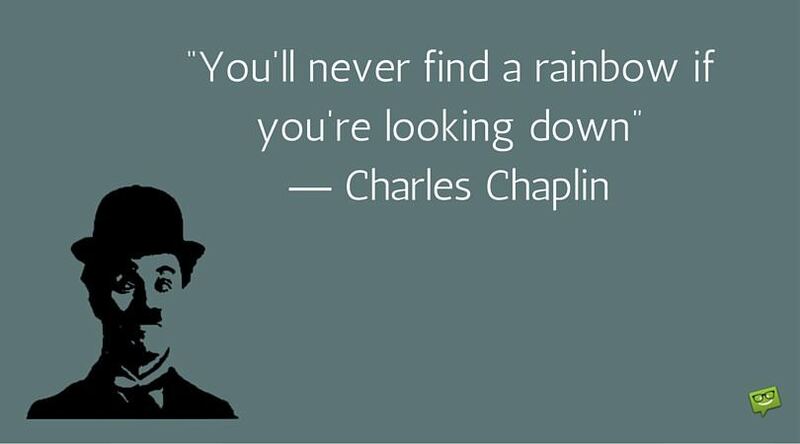 Charles Chaplin, who was an agnostic, was also a free-thinking mind and a non-comformist. 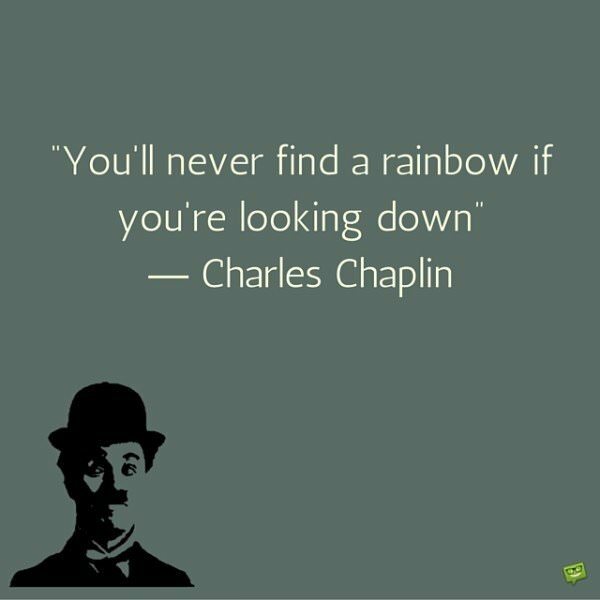 His quotes sometimes also reflected his views on politics, which had been a reason of criticism during the years when Chaplin lived in a McCarthy-era America. However, his words on art, love and life itself are true gems to read. Our collection of the Best Charlie Chaplin quotes is followed by a pinnable collection of images you can share to spread the speaking parts of a great, typically non-speaking artist. 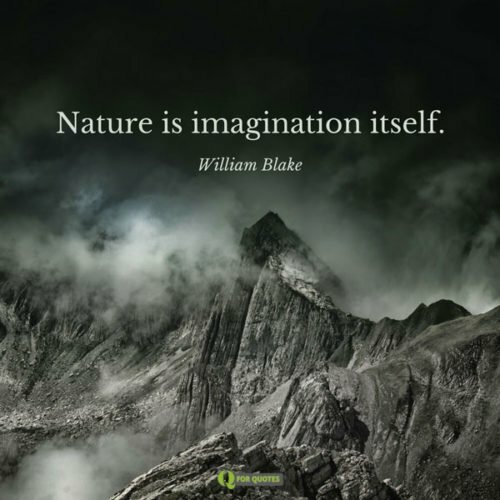 We must laugh in the face of our helplessness against the forces of nature – or go insane. I’m sorry, but I don’t want to be an emperor. That’s not my business. I don’t want to rule or conquer anyone. I should like to help everyone if possible; Jew, Gentile, black man, white. We all want to help one another. Human beings are like that. We want to live by each other’s happiness, not by each other’s misery. We don’t want to hate and despise one another. In this world there is room for everyone, and the good earth is rich and can provide for everyone. The way of life can be free and beautiful, but we have lost the way. Greed has poisoned men’s souls, has barricaded the world with hate, has goose-stepped us into misery and bloodshed. We have developed speed, but we have shut ourselves in. Machinery that gives abundance has left us in want. Our knowledge has made us cynical; our cleverness, hard and unkind. 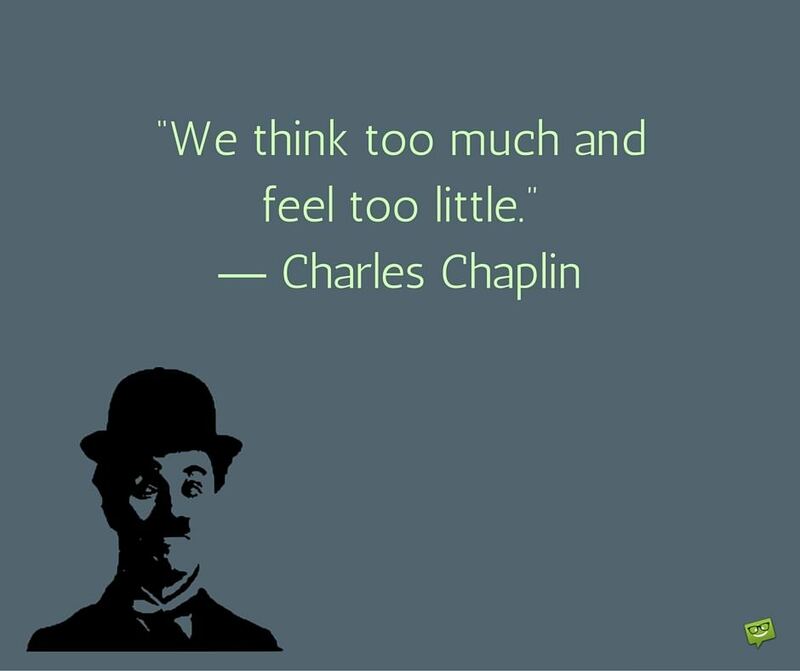 We think too much and feel too little. More than machinery, we need humanity. More than cleverness, we need kindness and gentleness. Without these qualities, life will be violent and all will be lost. The airplane and the radio have brought us closer together. The very nature of these inventions cries out for the goodness in men; cries out for universal brotherhood; for the unity of us all. Even now my voice is reaching millions throughout the world, millions of despairing men, women, and little children, victims of a system that makes men torture and imprison innocent people. To those who can hear me, I say, do not despair. The misery that is now upon us is but the passing of greed, the bitterness of men who fear the way of human progress. The hate of men will pass, and dictators die, and the power they took from the people will return to the people. And so long as men die, liberty will never perish. Soldiers! Don’t give yourselves to brutes, men who despise you, enslave you; who regiment your lives, tell you what to do, what to think and what to feel! Who drill you, diet you, treat you like cattle, use you as cannon fodder. Don’t give yourselves to these unnatural men – machine men with machine minds and machine hearts! You are not machines, you are not cattle, you are men! You have the love of humanity in your hearts! You don’t hate! Only the unloved hate; the unloved and the unnatural. Soldiers! Don’t fight for slavery! Fight for liberty! In the seventeenth chapter of St. Luke, it is written that the kingdom of God is within man, not one man nor a group of men, but in all men! In you! You, the people, have the power, the power to create machines, the power to create happiness! 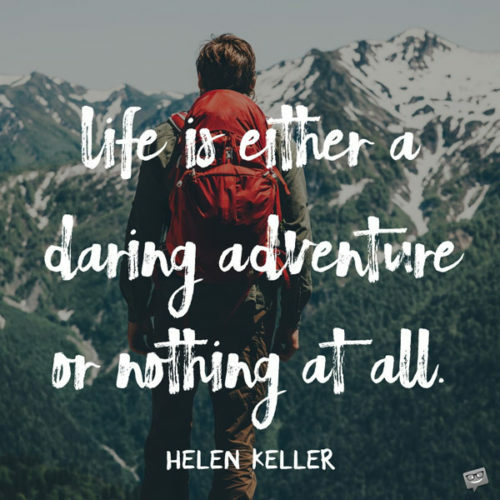 You, the people, have the power to make this life free and beautiful, to make this life a wonderful adventure. Then in the name of democracy, let us use that power. Let us all unite. Let us fight for a new world, a decent world that will give men a chance to work, that will give youth a future and old age a security. By the promise of these things, brutes have risen to power. But they lie! They do not fulfill that promise. They never will! Dictators free themselves but they enslave the people. Now let us fight to fulfill that promise. Let us fight to free the world! To do away with national barriers! To do away with greed, with hate and intolerance! Let us fight for a world of reason, a world where science and progress will lead to all men’s happiness. Soldiers, in the name of democracy, let us all unite! Actors search for rejection. If they don’t get it, they reject themselves. 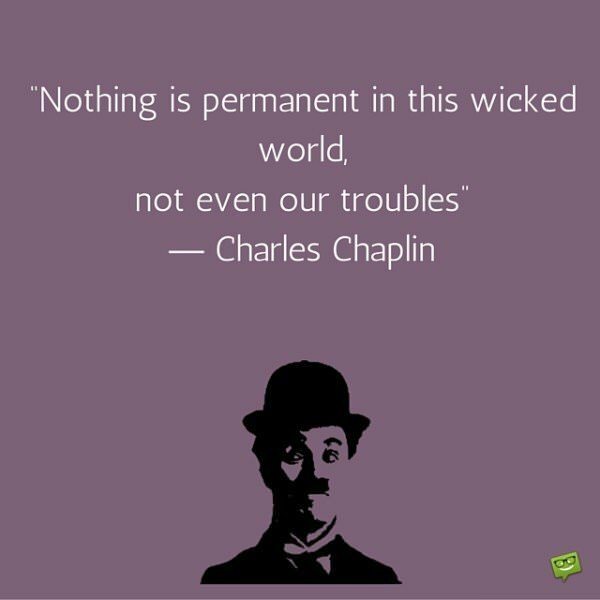 Life is a play that does not allow testing. 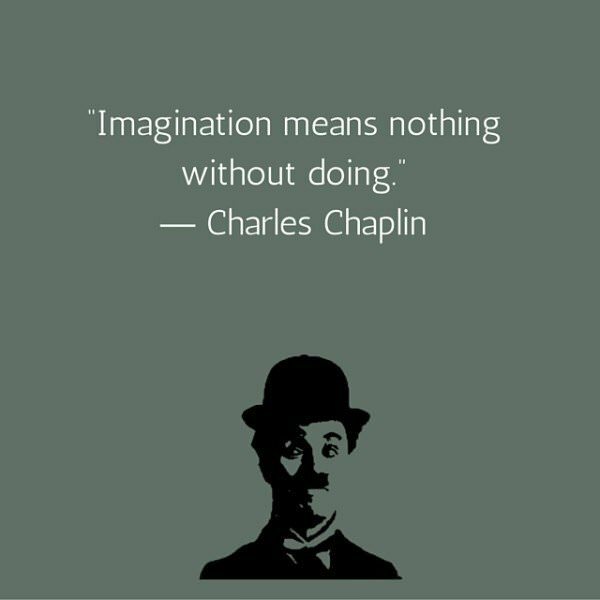 So, sing, cry, dance, laugh and live intensely, before the curtain closes and the piece ends with no applause. The mirror is my best friend because when I cry, it never laughs. 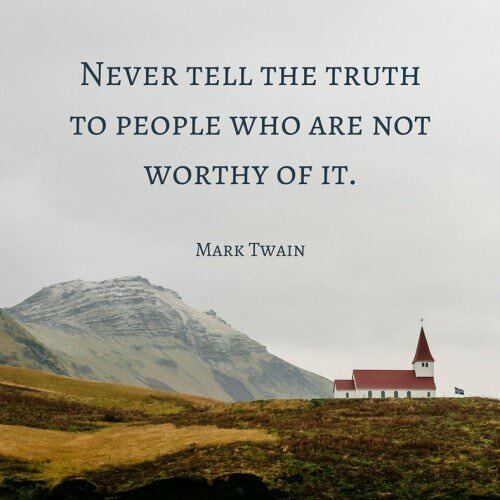 I suppose that’s one of the ironies of life: doing the wrong thing at the right moment. All I need to make a comedy is a park, a policeman, and a pretty girl. I don’t think the real America is in New York or on the Pacific Coast; personally, I like the Middle West much better, places like North and South Dakota, Minneapolis and Saint Paul. There, I think, are the true Americans. 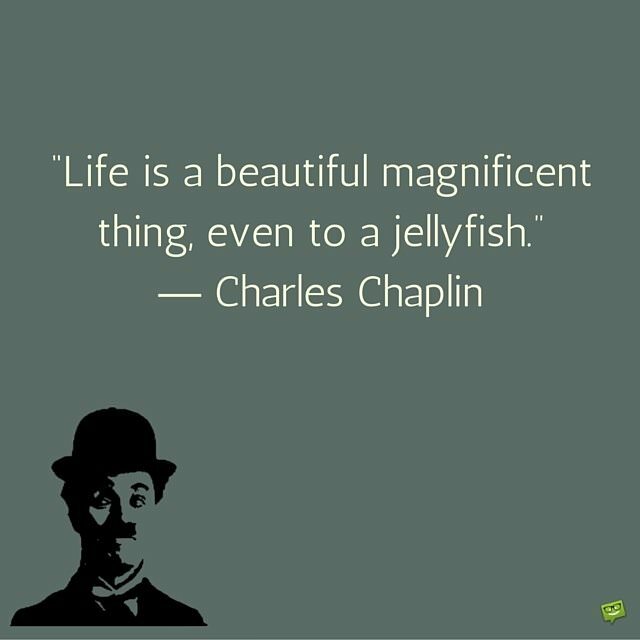 Think about yourself at least once in your life otherwise you may miss the best comedy in this world. 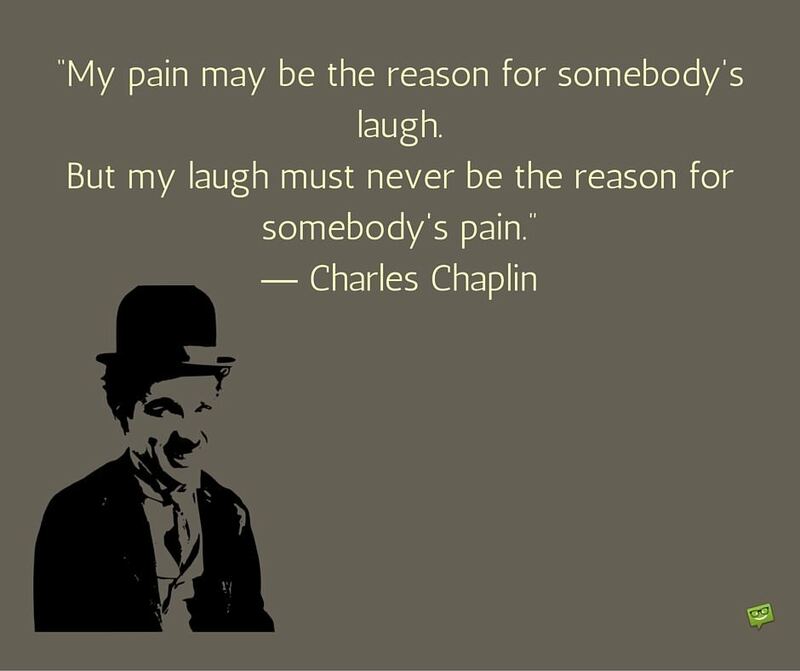 In the creation of comedy, it is paradoxical that tragedy stimulates the spirit of ridicule; because ridicule, I suppose is an attitude of defiance: we must laugh in the face of our helplessness against the forces of nature – or go insane. More than machinery, we need humanity. 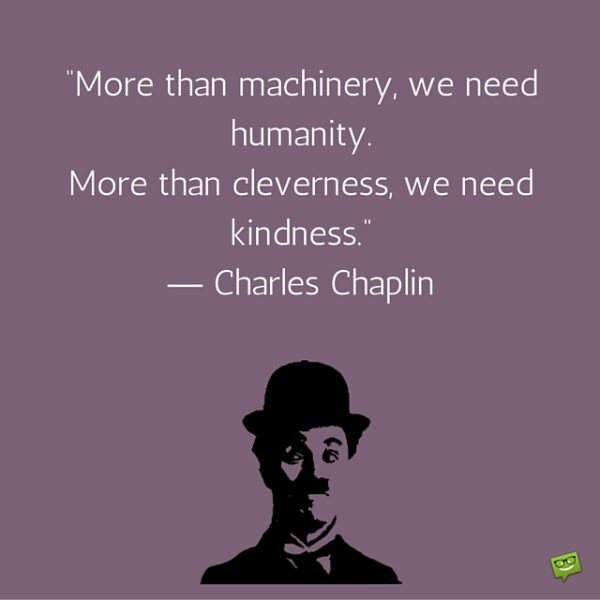 More than cleverness, we need kindness. 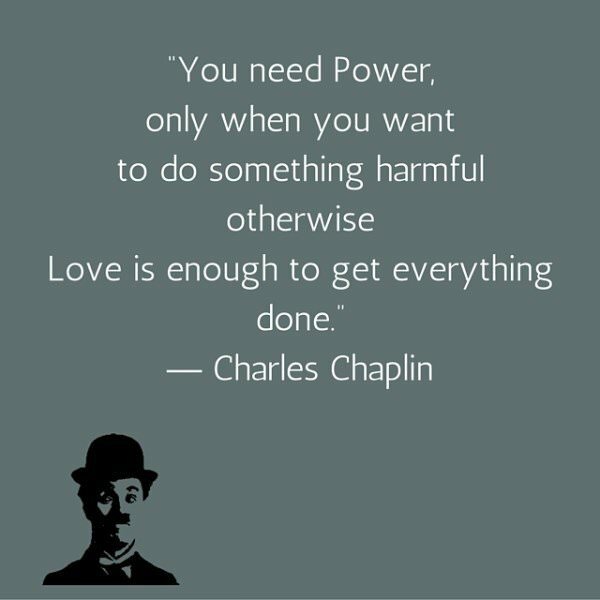 You need Power, only when you want to do something harmful otherwise Love is enough to get everything done. 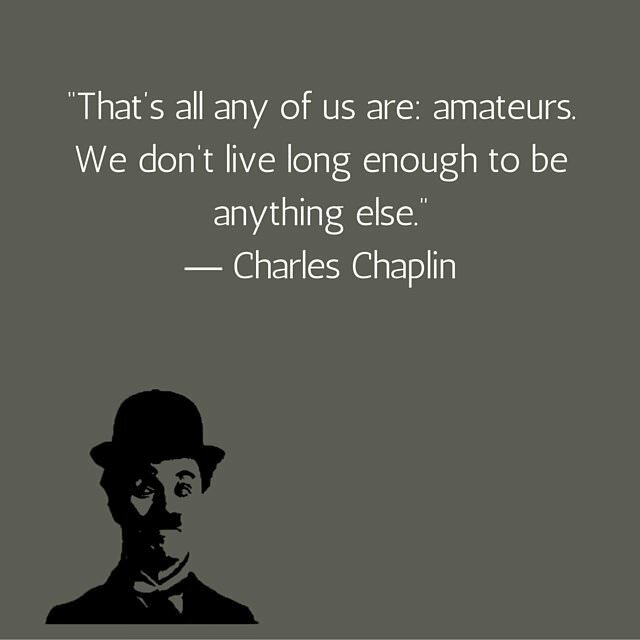 That’s all any of us are amateurs. We don’t live long enough to be anything else. 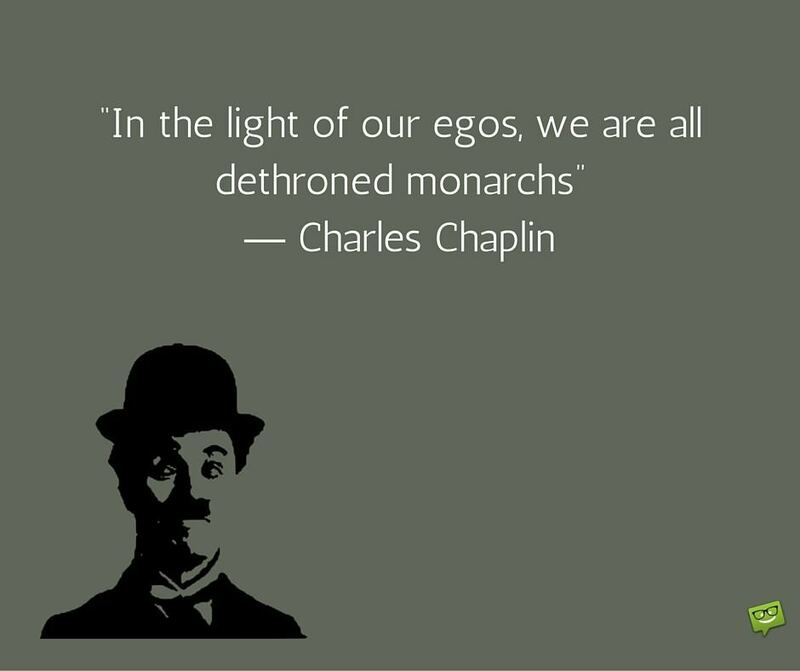 In the light of our egos, we are all dethroned monarchs.